The Award was established in 2018 in honor of Pat June, AOS Judge and long time member of the MVOS. 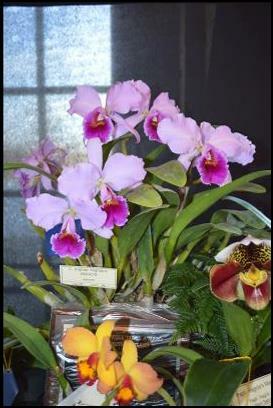 The award is for the Best Orchid in the Miscellaneous Classes in the Show. 2019 Pat June Memorial Trophy for the best orchid in the Miscellaneous classes in the Show– Ida portillae (nana) ‘Pepe’s Vision’ HCC/AOS grown by New Vision Orchids.